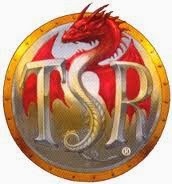 Sometime late in elementary school, I decided that when I grew up, I wanted to move to Lake Geneva and work for TSR as a writer for Dungeons & Dragons. I had been playing the game on and off since the tender age of six, mostly with my dad, and it had hooked me in such a profound way that no matter how many other games I played, I always found my way back to D&D. I can't say that I remember those early days of D&D very clearly, but by the time my dream of working for TSR had fully developed a few years later, I was captivated. I remember reading Dragonlance novels as quickly as my allowance would allow, and debating the "safety" of the game with concerned adults in my life. I recall skipping homework assignments to draw maps on grid paper, and buying my first Magic: The Gathering card (a Revised White Knight) just so I could cut out the art and tape it to a character sheet. In sixth grade, I started DMing for the first time, a bi-weekly Friday night game with some of my neighbors. I was writing my own adventures, and I even wrote a short story for Dragon Magazine - they sent it back to me with a nice note telling me it wasn't what they were looking for, but that I should keep up the hard work. I could reminisce for days, but I'll spare you that. The idea of working for TSR someday was never a question back then, but at some point I lost focus. I never strayed from being a gamer, although I took long breaks from D&D. Rifts stole my attention, as did Warhammer 40K, and a laundry list of video games. I finally stopped cutting up Magic cards for character sheets, and actually learned how to play. Magic would eventually come to rival D&D as my top game of choice, as it was so much easier to find people to play, and it satisfied my competitive side in a way that D&D couldn't. High school and college came and went. After graduation, I found myself teaching English during the day, while playing D&D on Tuesday nights and Magic: The Gathering on Friday nights. It wasn't quite a gamer's dream, but I was having a blast. A few years later, I decided to go back to college again to become a counselor, and the combination of work and school pushed a lot of the gaming out of my life entirely. I managed to play Magic from time to time, but anything else was rare at best. Now, in my fourth year as a school counselor, I am finding myself more and more frustrated with public education, specifically the way certain things are handled in North Carolina. Because I'm still employed by North Carolina, I'm going to stop there to avoid trouble, but it suffices to say that I'm currently looking for an exit strategy for this career. Unfortunately, I'm finding that degrees in English education and school counseling aren't as versatile as I would like them to be. What's worse, I am in dire need of a break from college, so pursuing another degree is out of the picture for the foreseeable future. I don't want to stay, but I don't know where to go. So what do I do? As you might guess from the title, my mind and my heart keep pointing me back to that childhood dream: move to Lake Geneva and write for TSR. Obviously, it can't come true in the literal sense. TSR doesn't really exist anymore, and there are no D&D designers in Lake Geneva (at least as far as I know). 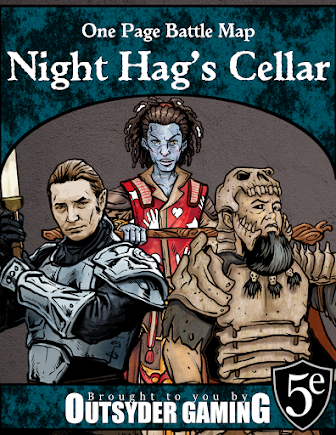 However, Dungeons & Dragons is still a force to be reckoned with in the gaming world, and Wizards of the Coast has done a remarkable job with the brand since purchasing TSR back in 1997. Even more conveniently, my other favorite game is owned by the same company, and I would relish the opportunity to work on either line. How likely am I to actually get a chance at making this dream come true? Not very, if I continue down the same path. In the time since that childhood dream was first formed, my life has taken quite a few twists and turns, but I'm not much closer to getting into the gaming industry than I was eight years ago when I graduated with my bachelors degree. Aside from being an avid gamer and piddling around with this blog, I haven't exactly done much to maximize my chances of getting a job at any gaming company, much less Wizards of the Coast. Being a gamer and doing a bit of blogging hardly set me apart from the crowd, and it's time for me to figure out how to stand out. Next week I'll start discussing my first steps toward realizing this dream in a series called "Hire Me, WotC!" I'll be putting on my career counselor hat, and breaking down the steps I need to take in order to make this dream most likely to come true. I hope you'll join me for the ride. If all goes well, I'll be able to apply for a job at Wizards of the Coast with a realistic shot at an interview. And even if I come up short, you might learn something from my blunders that gives you an edge with a similar goal in your life.